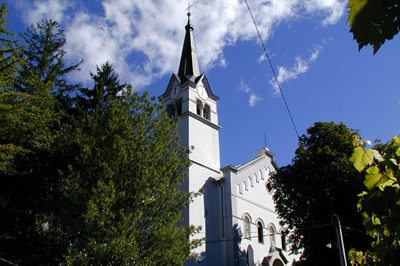 Bovec is a picturesque little town in the Slovenian Julian Alps. To the world we are known as the adrenaline capital of Slovenia. Therefore, we are an ideal destination for all those who love active holidays. 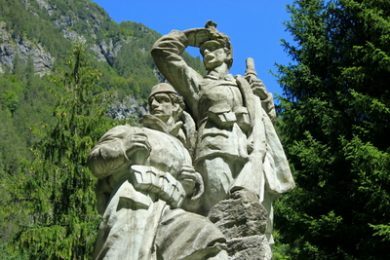 But, Bovec is much more than just sports. 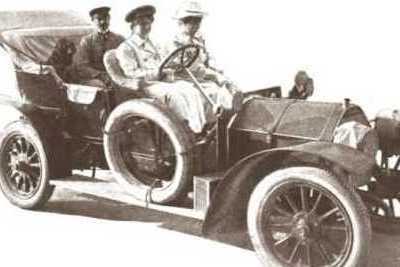 Let us take you on a tour around the valley. There are many magical places you shouldn’t miss. Check our list and read the interesting stories. 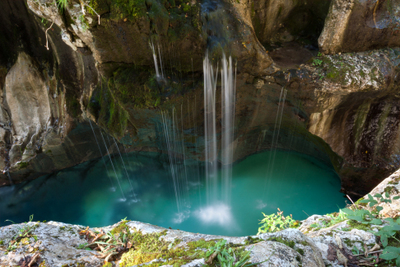 We promise you an adventure full of crystal clear water, photogenic waterfalls and mysterious gorges. But also legends long hidden by the vail of time and historical events that have written our story. Then decide which ones you will visit when here. 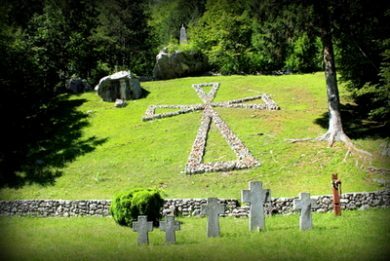 Old walls of Bovec parish church are hiding many stories. 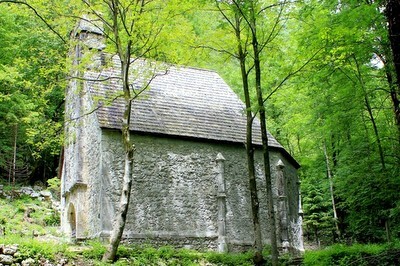 Gothic church hidden in the forest has a magical bell tower. 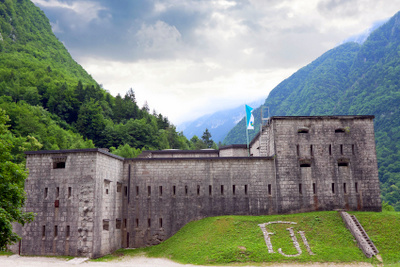 Isonzo front outdoor museum set on the Austrian defence line. 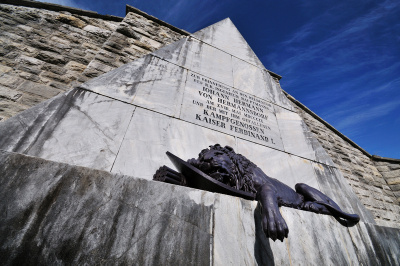 Last resting place of Austrian soldiers who fell on Isonzo Front. 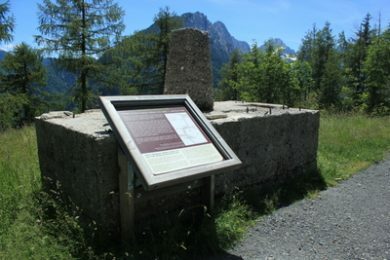 Memorial to countess Lucy, Isonzo Front first civilian victim. 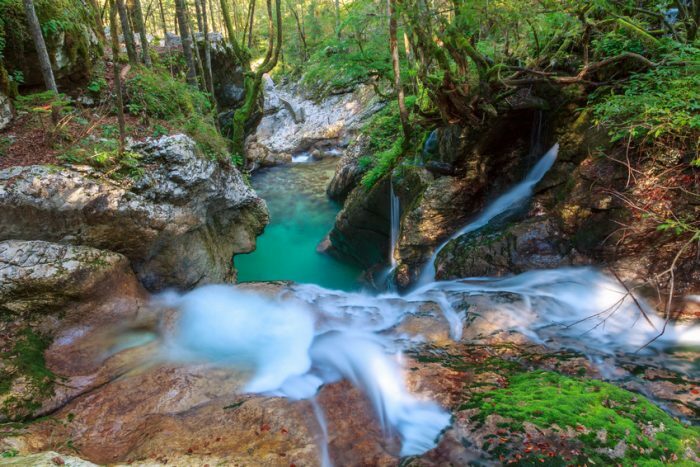 Canyon where Soča river has the most magical colours. Circular forest trail along the stream of Lepenjica. 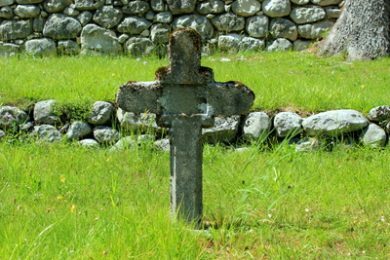 Last resting place of soldiers who died in military hospital. 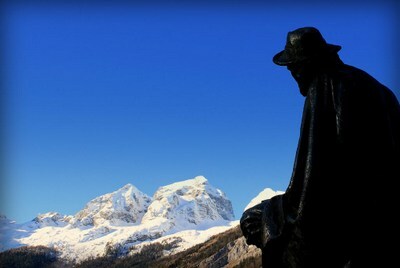 Bronze statue of the father of alpinism in the Julian Alps. Upper station of the military cargo cable car and viewpoint. 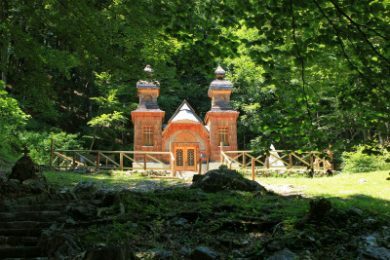 Wooden chapel dedicated to Russian prisoners of war. 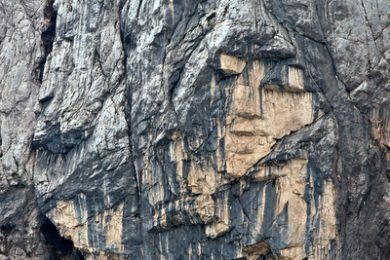 Giant face of a girl shaped on the slope of Mt Prisank. 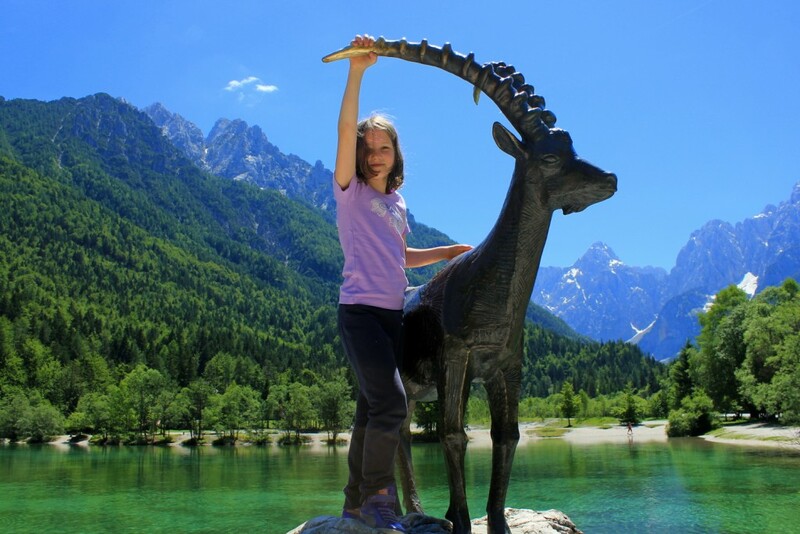 Statue of Zlatorog, mythical golden horned chamois. 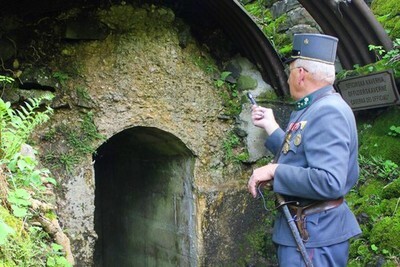 Old stronghold between steep slopes and deep gorge. 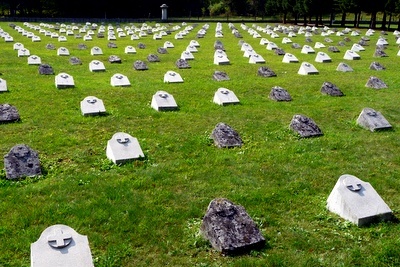 Isonzo Front cemetery of Austrian and Bosnian soldiers. Stone pyramid and statue of lion from Napoleonic wars.